We only need to get through these two days then the weekend is here. I have to say I have been enjoying the week. It is gorgeous outside. It’s gotta be in the mid 70’s here in Northern California. They said cooler weather with a chance of rain over the weekend though! Oh well, gives me time to do some cooking in the kitchen. it’s going to be hard to cook when it starts to get hot out. My Husband yells at me when I turn the oven on, when it’s above 75. What also surprises me is it’s my Husband favorite bread and he can’t stand wheat bread. I think there kind of similar. 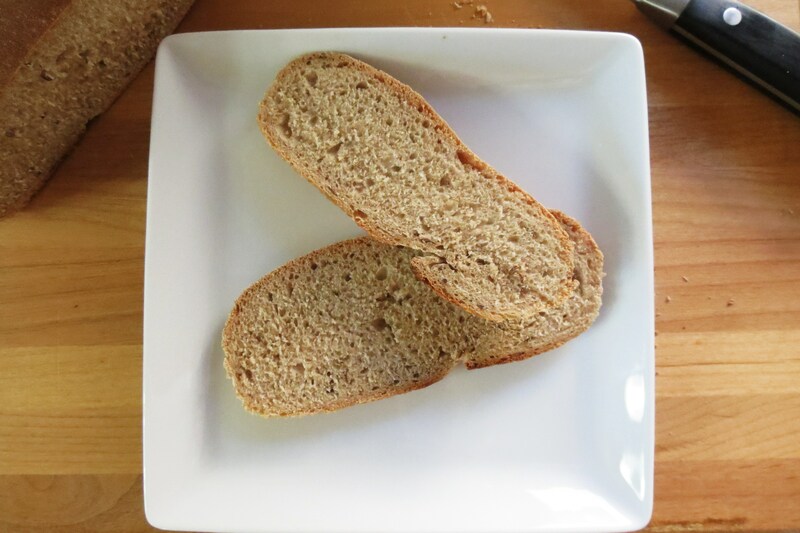 Being from Buffalo, rye bread is pretty common, but in California it’s hard to find a good rye bread. It’s either really dense or it just doesn’t taste great. So I decided on Sunday to make my Husband this bread as a surprise. I even tried to make it heart shape, but that didn’t turn out so well. I added two tablespoons of caraway seeds in the bread, but next time I think I will add three. Other than that, that’s the only thing I would change. I can’t wait to make grilled cheese sandwich with the bread. Oh and the calorie count is 104 calories a slice, but I honestly think it’s less. I put 12 slices per loaf, but I think you can get more like 17, so that’s a big calorie difference. Double bonus!!! In a large mixing bowl, dissolve yeast in 1/2 cup warm water. Add brown sugar, caraway, oil, salt and remaining water; mix well. Stir in rye flour and 1 cup all-purpose flour; beat until smooth. Add enough remaining all-purpose flour to form a soft dough. Shape each half into a ball; place in two greased 8-in. round cake pans. Flatten balls to a 6-in. diameter. Cover and let rise until nearly doubled, about 30 minutes. After work instead of exercising, I decided to do some yard work and get my garden prepped for the spring season. Do you have a garden? I have a little area in my yard that I fenced off so I can have a vegetable garden. Last year I had 5 tomato plants and they went insane. The one plant was a Bog Boy and he grew out and up over 6′, not smart since he was in the center of my garden and totally took over. So this year I decided on 3 tomato plants. I’m thinking a cherry tomato, plum tomato and a beef steak. I also plan on growing cucumbers and honey bear acorn squash and of course peppers. I bought an Italian Pepper plant last year and it was so good, sweet and the size of a pablano pepper. There perfect for stuffing and roasting. I can’t wait to get my garden going. So expect lots of vegetable recipes this summer. Can you believe I am thinking summer? Well I am signing off for the night. Time to do dishes, maybe get some form of exercise in and just relax the rest of my evening. I hope you have a wonderful Thursday! Oh and this weekend, plan to make some fresh bread. Make two loaves, and freeze one. Pre-slice it before you freeze it so you can just take one out of the freezer and pop it in the toaster. No need to de-frost. Ok, I said my bread piece peace. Have a great day!!! This bread looks like it came from a artisan bakery! Yum, I’ll bet toasted with butter and marmalade it would be unbelievable! Beautiful job – very well done! Thanks Chris! I had fun making it and I can’t get over how much my family loves it!! I love homemade bread! Rye is my Hubby’s fav. Your bread looks like from a bakery, Jennifer! Ahh-mazing! Thanks Anna! It’s my Husband favorite too!! I really love it toasted with melted butter! Yum!! Yum! That looks AMAZING! 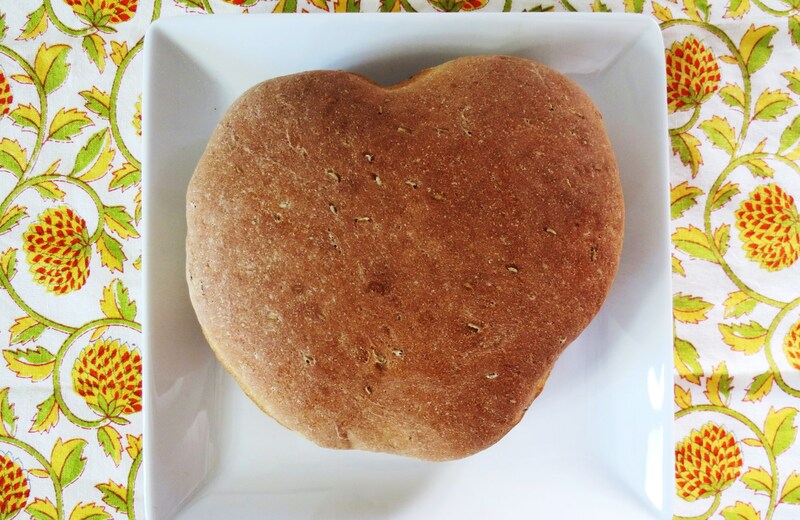 Great photos, I have never made my own bread before! Make your own bread! It’s fun and rewarding! 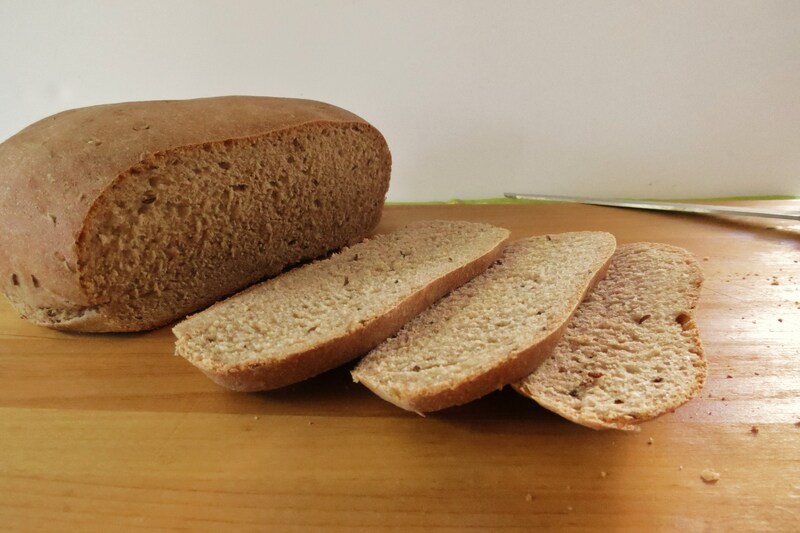 Homemade rye?! YUM! Looks great! 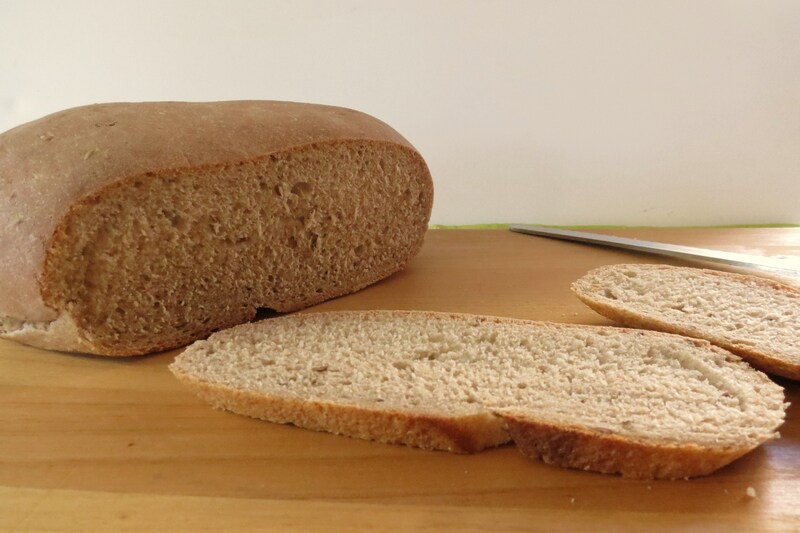 I love baking bread…never tried rye before. Can’t wait to try, and I’m liking the nutritional stats. I was thrilled when I calculated the stats on it. I am even betting some flax seed in it would be great to, mix it with the caraway seeds. Looks delicious! Reuben for dinner anyone? Yum! That sounds good! I never made a Reuben sandwich before, and I’m thinking I should!! Love the heart shape attempt! So cute!! I don’t grow gardens because I end up killing everything in it. I completely agree-it IS hard to find a good Rye bread in CA!!! 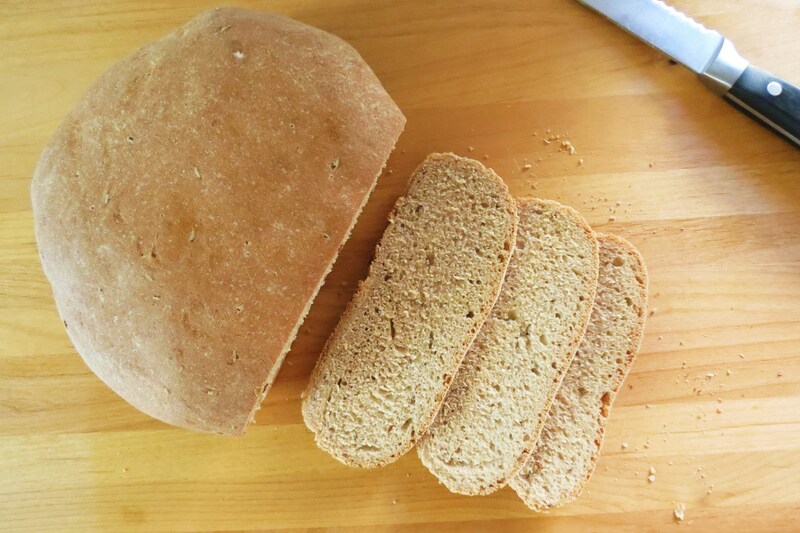 I have been wanted to try out some recipes (even have rye flour in my pantry) but I can’t find those darn caraway seeds ANYWHERE! Where did you get them? 🙂 Your bread looks beautiful, great job! I love homemade bread. I also love the smell of bread baking. That bread looks fantastic. I’ll have to make some when I get home after this weekend. Thanks for sharing. If you do, let me know how it turns out. I don’t think you will be disappointed! Looks like a wonderful rye bread! 🙂 I like rye better than wheat, myself, and I like it crusty! I love it crusty too. I think next time I may put some egg wash on top before cooking, to see if it turns out crusty! 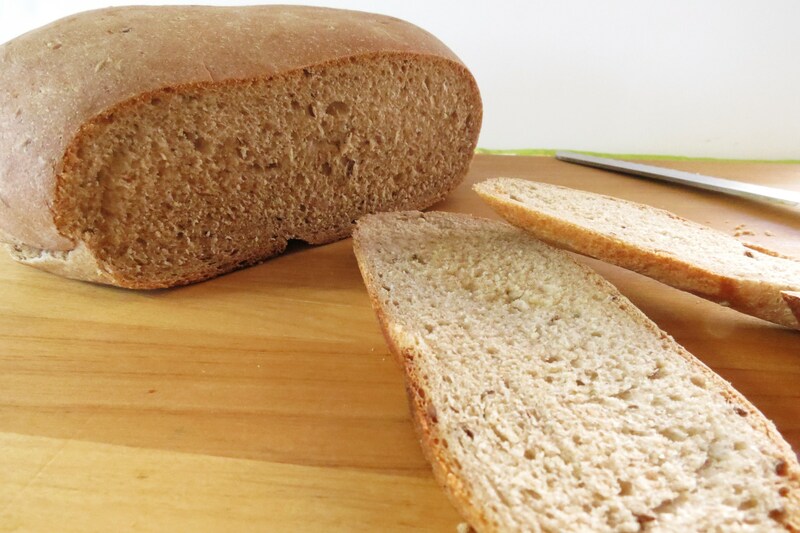 Your Rye Bread looks wonderful. We just love Rye and I wish it was coming out of my oven right now, I can just smell it. Thank you so much for sharing with Full Plate Thursday. Hope you have a great week end and come back soon! Hi, I will come back soon, thank you for having me! !